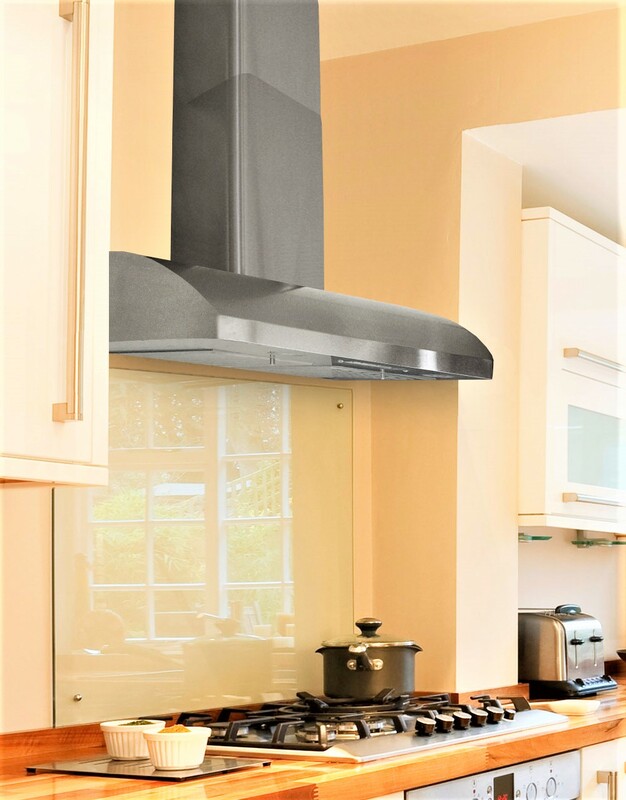 WALL MOUNT 30" - 30"
KOBE Premium wall mount range hood is a best-seller in its class due to its unique curve that gives the hood a distinctive appearance. The hood has a powerful 720 CFM blower that is also very quiet with 1.0 sone on QuietMode. It is equipped with 6-speed function, electronic button control with LED display, and ECO Mode technology. This quiet kitchen ventilation is handcrafted with durable 18-gauge commercial grade stainless steel and features a beautiful seamless design. Energy saving and high efficiency LED lights brilliantly illuminate the cooking area. 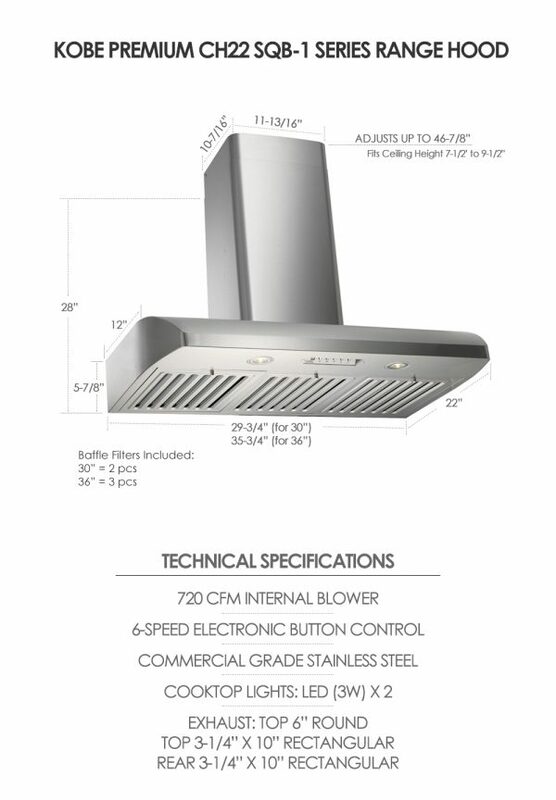 This range hood also comes with stainless steel baffle filters for easy cleaning and grease-trapping ability. 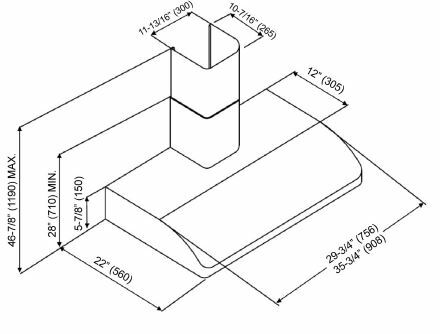 This item ships in multiple boxes. 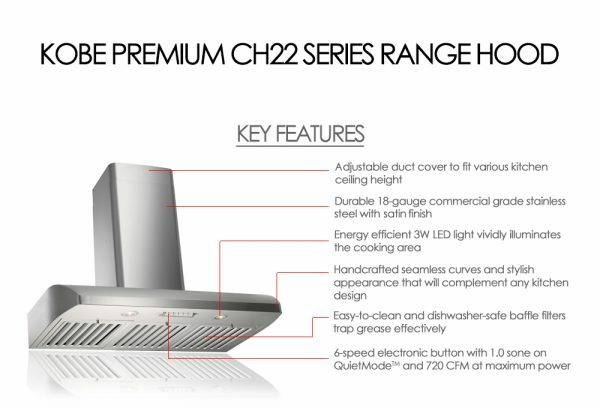 QuietMode™ At 280 CFM, this unique feature allows the KOBE range hood to operate at a reduced sound level of 40 decibels (1.0 sone). Light The hood is equipped with 3W LED lights with 3-level lighting. 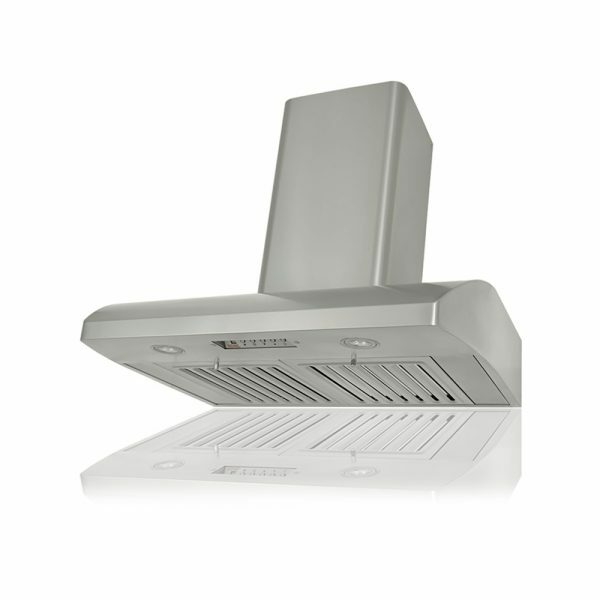 Filters Dishwasher safe professional baffle filters allow for easy cleaning. ECO Mode ECO Mode runs the fan on the QuietMode™ setting for 10 minutes every hour to remove excess moisture, microscopic particles and odors to promote a cleaner kitchen air quality. 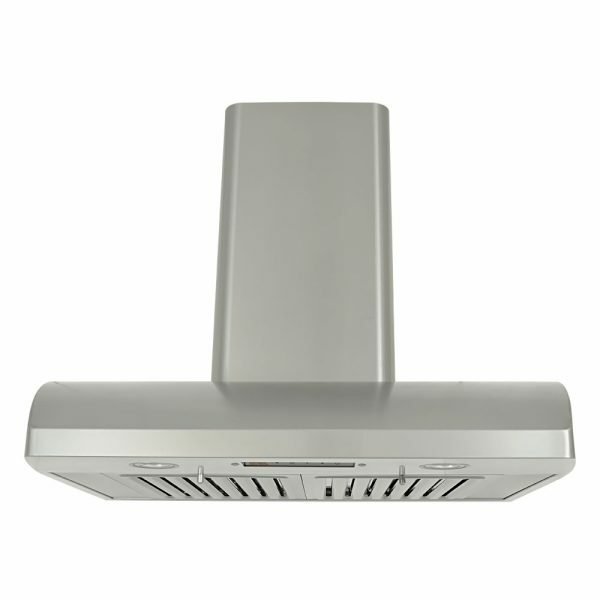 Ceiling Heights This wall mount hood fits ceiling height between 7-1/2 feet to 9-1/2 feet.